I was very blessed to have Christian answer when I dialed the eight hundred #. He gave me a the answers I was looking for without being pushy!!!!! He also helped me with a very aggressive company that was pushing the wrong type of product on me. I can not tell you how many times he was there for me ( over and over ). He always honored his word. I give him the highest rating in all areas!!!!!!!!!!!!!!!!!!!!!!!! Review 7/29/2011 I was very blessed to have Christian answer when I dialed the eight hundred #. He gave me a the answers I was looking for without being pushy!!!!! He also helped me with a very aggressive company that was pushing the wrong type of product on me. I can not tell you how many times he was there for me ( over and over ). He always honored his word. I give him the highest rating in all areas!!!!!!!!!!!!!!!!!!!!!!!! and herself available to answer my questions throughout the process. Review 6/24/2011 I would like to thank Emiley for her exceptional service and dedication in processing my recent order. She made every effort possible to keep me informed and herself available to answer my questions throughout the process. 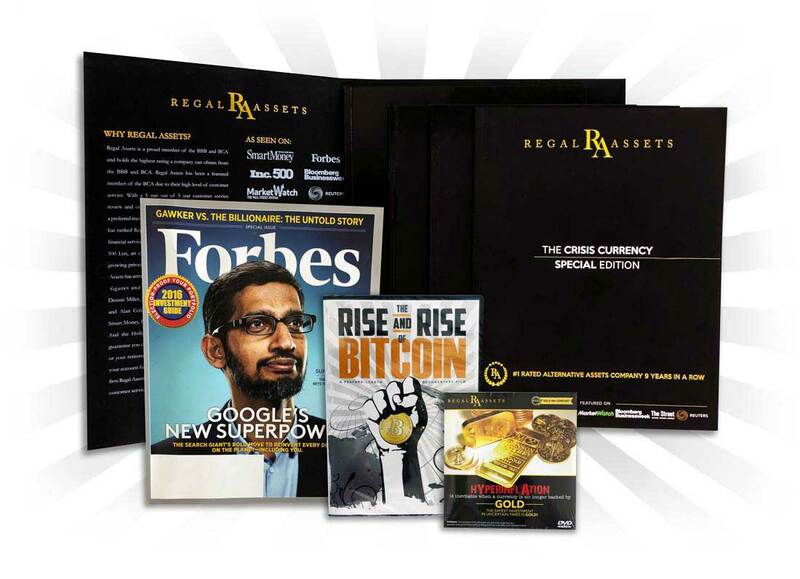 As a first-time buyer of precious metals, I felt that the experience with Regal Assets was excellent. Their price was less than that of their competitors. Tyler was patient and friendly in explaining how transactions occur. Emiley was also helpful and friendly in answering my questions and keeping me updated on the order's status. She is serious about good customer service. (Available 24/7 for questions!) The order was processed and arrived within a week of placing it. In short: competitive prices, friendly service, fast delivery. I will be purchasing from Regal Assets again in the future. Review 5/31/2011 As a first-time buyer of precious metals, I felt that the experience with Regal Assets was excellent. Their price was less than that of their competitors. Tyler was patient and friendly in explaining how transactions occur. Emiley was also helpful and friendly in answering my questions and keeping me updated on the order's status. She is serious about good customer service. (Available 24/7 for questions!) The order was processed and arrived within a week of placing it. In short: competitive prices, friendly service, fast delivery. I will be purchasing from Regal Assets again in the future. I am a new investor in metals. A new experience for me. I appreciate help and information received from Emiley and Tyler in setting up a rollover IRA account and advice on my purchases. I will continue to build my IRA and plan to make personal investments through Regal Assets in the future. The order took longer to receive than I expected this time, but Emily kept me well informed along the way. Review 5/4/2011 The order took longer to receive than I expected this time, but Emily kept me well informed along the way. Review 1/4/2011 To whom it may concern, I have been working with Tyler Gallagher for the past 6 months. He has been absolutely incredible helping my husband and I with our transaction of selling our precious metals. I did not know him prior to our conversation, but there was something about him. I felt a sense of trust right from the beginning. I was referred to your company from Sterling Trust. I had had a bad experience with another company prior to my first conversation with Tyler and he was wonderful and patient with me. I am 73 years old and my husband is 79 and we needed to expedite our funds because we need the funds sooner than we expected. Tyler advised me to wait until we could at least make a profit because when he got the account we had held the funds for almost a year and still did not have additional monies from when we purchased them.. I took his advise and it certainly helped holding the metals as long as we did. Tyler is definitely an asset to your company and would refer his services to others. Thank you. This was the first time I bought from Regal Assets. Soon after I placed my order, I was contacted by a representative who went over my order and informed me how the payment and shipping would progress. I also received an email to verify my order and inform me of the delivery date. I was pleasantly surprised with the customer service and how dedicated they were to keep me informed. I will order from them again. Review 1/3/2011 This was the first time I bought from Regal Assets. Soon after I placed my order, I was contacted by a representative who went over my order and informed me how the payment and shipping would progress. I also received an email to verify my order and inform me of the delivery date. I was pleasantly surprised with the customer service and how dedicated they were to keep me informed. I will order from them again. Very pleased with recent purchase. Just wished I'd been smart enough to schedule arrival of the package when I was at home. Guarantee it won't happen again. I'll be here. Good follow up by Regal and I'll continue to use them for precious metal purchases. Thanks guys. Review 12/17/2010 Very pleased with recent purchase. Just wished I'd been smart enough to schedule arrival of the package when I was at home. Guarantee it won't happen again. I'll be here. Good follow up by Regal and I'll continue to use them for precious metal purchases. Thanks guys.